Read this page to find your engine transmission or other component solution options. Read this 60 second intro page, please, then click on this line or the last line below to open our home page for the help you need. First of all, you came to the right place for an online resource that will empower you to learn how to restore your car pick-up large truck tractor, boat, motorcycle, or machine performance. Yourself! Nothing to take apart. Driving does the actual fix! I call these tuning and repair options by showing what works, and what does not, and why. The fix option has scientific chemistry behind it to rejuvenate for years longer life! And since family vehicles are all subject to some problem, You are provided an unprecedented knowledge base at finger tip for solutions to such problems occurring. I’m your expert in this! 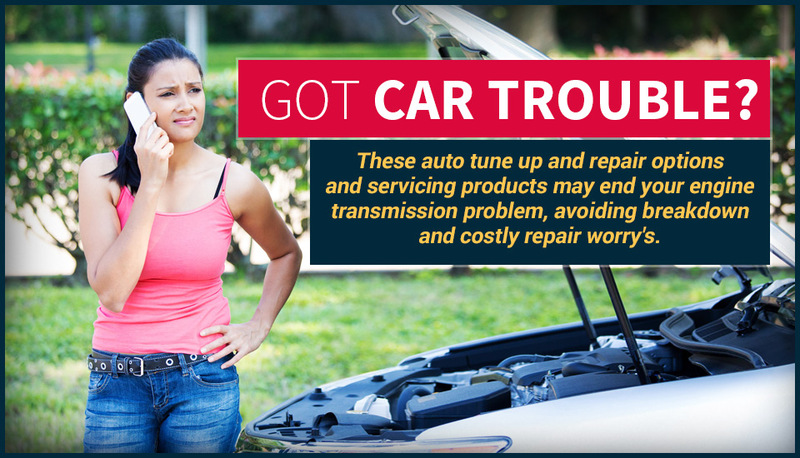 While the “auto tune up and repair options site” is made to teach mechanics this new expertise, it is written so any non-mechanic can do a professional fix themselves, using the same products, as well. The option we chose as the fix to restore your car performance is like the doctor’s advice – takes these, and call me in the morning if it didn’t work! In a sense our tips, products and directions end 999 out of 1000 of a car’s internal caused friction and dirty sticking problems – by removing those trouble makers deep inside. If not, it need actual repair. Enjoy the new way to fix today’s cars. Those are the real auto tune up and repair options I have for you here. Click this line to read the auto-tune-up-and-repair-options home page for the exact help you need… I’m your tech guy and guide through-out… George.